BREMERTON, Wash. — The Ninth Circuit Court of Appeals has declined to rehear a ruling from last August that denied relief to a Washington football coach who was put out of a job in 2015 as school district officials decided not to renew his contract in the midst of a battle over his desire to pray at the 50-yard line. The coach now plans to appeal to the U.S. Supreme Court. 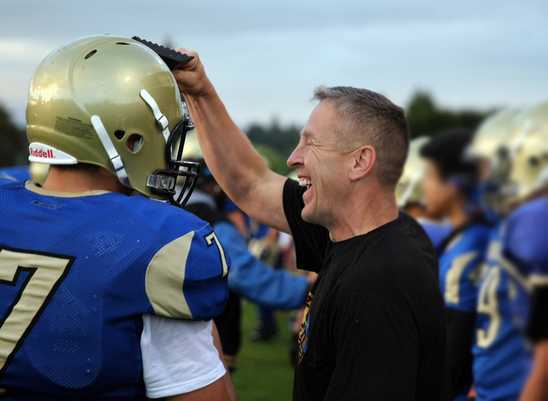 As previously reported, Joe Kennedy, the former assistant head coach for the varsity team at Bremerton High School and the head coach for the junior varsity team, was placed on paid administrative leave in October 2015 when he prayed at the conclusion of the homecoming game despite an order to cease his practice. As Kennedy offered a prayer the following month at the homecoming game, and was voluntarily surrounded by his team and scores of other supporters, he was consequently placed on paid leave until he agrees not to pray at the 50-yard-line. In January, the district decided not to renew his teaching contract, effectively putting him out of a job. In December 2015, the former U.S. Marine turned football coach filed a complaint with the Equal Employment Opportunity Commission, alleging workplace retaliation against his Christian expression in violation of Title VII of the Civil Rights Act of 1964. Kennedy appealed, but in August of last year, the Ninth Circuit Court of Appeals unanimously agreed with Leighton and likewise declined to grant the injunction. Kennedy’s attorneys with First Liberty then sought for the case to be reheard by the full court of appeals, or en banc, but the Ninth Circuit denied the request this week. The organization says that it will appeal to the U.S. Supreme Court.